Having female leaders influences the extent of emphasis placed on gender equality in policy and practice (Clots-Figueras, 2012; Smith, 2014). Women in leadership positions tend to favour the equitable redistribution of resources, and legislatures with a higher share of women on average tend to support health, education and social welfare spending at the expense of defence spending. Across 103 countries, countries that mandated a percentage of women in their legislatures spent 3.4 percentage points more on social welfare than those that did not (Chen, 2010). 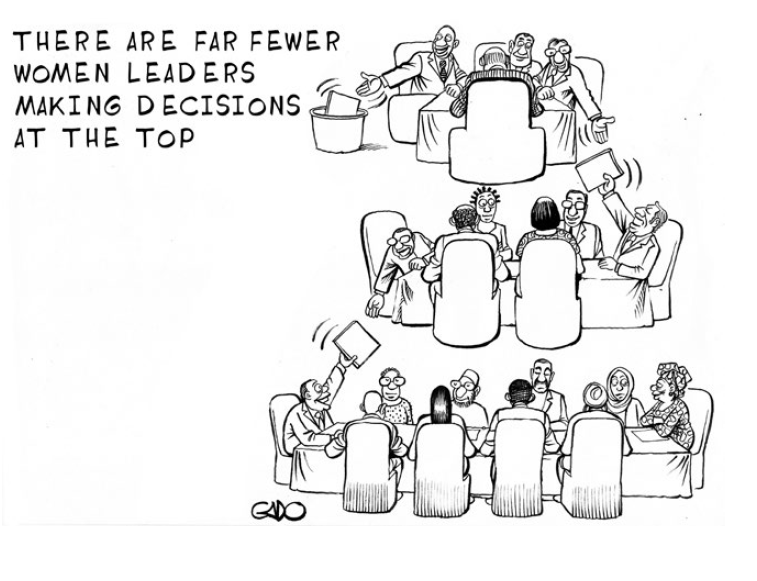 But the continuing dominance of men in decision-making posts limits women’s voice in and ability to influence policy design at international, central and local government levels, as well as at the level of schools and communities. Women are under-represented at senior levels within the international organizations that shape much of the global dialogue on education. The UN recognizes that gender parity within the organization is a ‘crucial first step to orienting the system to deliver on gender equality in education’ (United Nations, 2017). Even so, efforts to ensure equal representation in positions of authority have fallen short, with a negative relationship between seniority and share of women. UNICEF has made some strides by requiring senior-level expertise on gender and targeting parity in senior leadership as one of the five gender equality benchmarks against which the organization is evaluated (UNICEF, 2015). A task force reviewing the UN as a whole has set 2026 as the target year for parity at all levels across the system (United Nations, 2017). As of October 2017, 16 out of 21 directors in the OECD, and 7 out of 8 heads of agencies and special entities were men (OECD, 2017c). The World Bank does not provide information on staff ratios; their gender strategy instead faces outward on addressing inequities in the projects they fund (World Bank, 2015). With respect to bilateral aid agencies, the representation of women in three of the top ten donors was mixed as of 2015. In the United States, the US Agency for International Development has an incentive programme to promote women interested in gender issues, and 44% of senior foreign service posts are filled by women, relative to 53% of all staff (USAID, 2016). In the United Kingdom, only 43% of Department for International Development senior civil service roles are filled by women, compared to 55% of the department’s total staff (DFID, 2016). In Australia, while 57% of all Department of Foreign Affairs and Trade staff are women, only 34% of senior executive service staff and 27% of heads of missions and posts are female. The organization has identified internal cultural constraints that may be hampering women from applying for more advanced positions (DFAT, 2015). Women are under-represented in all positions of authority at home. As of October 2017, out of 193 UN countries, 11 had a woman serving as head of state and 12 had a woman as head of government (UN Women, 2017). Within parliaments, only the Nordic countries come close to equal representation, with women making up 41% of their single house parliaments. In all other regions, fewer than three in ten parliamentarians are women: 28.5% in the Americas, 26% in Europe excluding Nordic countries, 24% in sub-Saharan Africa, 19% in Asia, 18% in the Pacific and 17.5% in the Arab States (Inter-Parliamentary Union, 2017). Over 75 countries have established quota policies to ensure more women have leadership roles (O’Brien and Rickne, 2016). Early adopters include Uganda, which in 1989 mandated that 18% of seats in parliament be reserved for women, and Argentina, which in 1991 required that 30% of party nominees be women (Hughes et al., 2015). An examination of 149 countries from 1989 to 2008 showed that quota adoption became more likely as the international women’s movement gained strength (Hughes et al., 2015). At the end of 2015, nearly half of the countries in Latin America and the Caribbean had mandated legislative quotas. Surveys across 24 countries in the region indicated overall support for quotas. In El Salvador, 53% of people strongly agreed that the state should reserve places on the list of candidates for women. Citizens in countries with a history of good governance were more likely to support quotas (Barnes and Córdova, 2016). The range targeted in quotas varies across countries. In Niger the goal is 10% of female representation in parliament, while in Panama the target is 50% (Sojo et al., 2016). In Azerbaijan, a government decree in 2000 mandated that at least one of the Deputy Heads of the Executive Power in all regions should be a woman (Safikhanli, 2014). Mexico moved from a target of 30% female representation on candidate lists in 2002 to 40% in 2014 (Sojo et al., 2016). Quotas increase the number of women elected in a country and lead to better qualified elected officials. Between 1970 and 2006, across 103 countries, the proportion of female legislators was five percentage points higher in countries that adopted gender quotas than in those that did not (Chen, 2010). Following the 1993 implementation of a quota that required 50% of local candidates for the Swedish Social Democratic Party to be women, the proportion of elected women increased by 10% (O’Brien & Rickne, 2016). In Italy, municipal quotas increased the number of women elected; moreover, the women elected were, on average, more educated than the men elected (Baltrunaite et al., 2016). Stronger candidates were also found in Uganda (O’Brien, 2012). Pakistan and Samoa, countries where women are very under-represented in positions of power, have made marginal gains by installing minimal quotas. In Punjab province, Pakistan, the quota of women increased from 5% to 15% in 2016/7 (Agha, 2016). In 2013, the Samoan parliament passed an act that required 10% of parliamentarians to be women. However, given that parliamentarians must hold a title of leadership (matai) in their village, and that only 11% of people with this title were women, more needs to be done to expand access for women (Office of the Ombudsman and NHRI Samoa, 2015). Legal enforcement of quota targets can influence whether quotas are successful. An analysis of 63 countries with legislative targets found that countries with stronger quota enforcement mechanisms had a higher percentage of women elected to legislative bodies and came closer to meeting the targets announced. In Iraq, if the goal of 25% of seats is not reached, unelected women with the highest number of votes are selected. In Guyana, an independent electoral commission verifies the compliance of candidate lists (Sojo et al., 2016). In local positions of authority, women leaders can have a positive impact on the well-being of the community. In India, increased numbers of women political leaders led to greater emphasis on immunization programmes and girls’ education (Beaman et al., 2007). The benefits, however, seem to be concentrated in urban areas. Increasing female political representation by 10 percentage points increases the probability that an individual attains primary education in urban areas by 6 percentage points (Clots-Figueras, 2012). In Brazil, female mayors are associated with better prenatal health outcomes and fewer cases of corruption, as compared to male mayors. In municipalities where a man won a close election over a woman, 1.6% more pregnant women go without any prenatal visits, and 1.2% fewer women have regular births (Brollo and Troiano, 2016). The level of discretionary power given to office-holders can influence female leaders’ ability to impact gender equality. Across 239 cities in the United States, female mayors allocate 3% of block grant funding to women’s issues when they have no authority, as compared to 9% when they have considerable authority (Smith, 2014). The feminization of the teaching workforce in most countries is a well-known phenomenon, but less attention is paid to the continued imbalance in men’s favour in education management and related leadership positions. This imbalance has a context: Women often make up the majority of civil servants, but they tend to be concentrated in positions with less authority. In OECD countries, women represent 57% of the government workforce, equating to 65% of secretarial positions, 35% of middle managers and 27% of top managers in 2010 (OECD and EUPAN, 2015). Women in education leadership positions provide role models that can help encourage female student retention (Kagoda, 2011), which is especially important in countries with low education attainment for girls (Mulkeen et al., 2007). In Malawi, primary school teachers considered the lack of female role models as being one of the top four reasons for girls’ poor performance, ahead of early marriage and pregnancy (Mzuza et al., 2014). Female staff can also help reassure parents that schools offer a safe and welcoming environment, as evident in Guinea and Sierra Leone (UNGEI, 2017). Most countries do not regularly collect and publish data on gender in education leadership. Where they do, data are often not published or data from different sources need to be matched. When data are available from national sources, they are typically not easily comparable among countries: definitions and titles differ, as do the education levels at which data are aggregated or published. Attempts at cross-national reporting prefer to show results separately by country.  Cross-national school surveys that administer questions to school principals, such as PISA and TIMSS, do not ask the gender of respondents. The Teaching and Learning International Survey (TALIS), which focuses primarily on lower secondary school teachers, is one of few sources that asks whether a principal is male or female. The TALIS estimate is based on a sample and not a census of schools but is broadly consistent with the administrative data reported by Eurostat on school management personnel in EU and European Economic Area countries. Eurostat includes principals, headmasters, assistant headmasters and other management staff with similar responsibilities, but not administrative support staff. 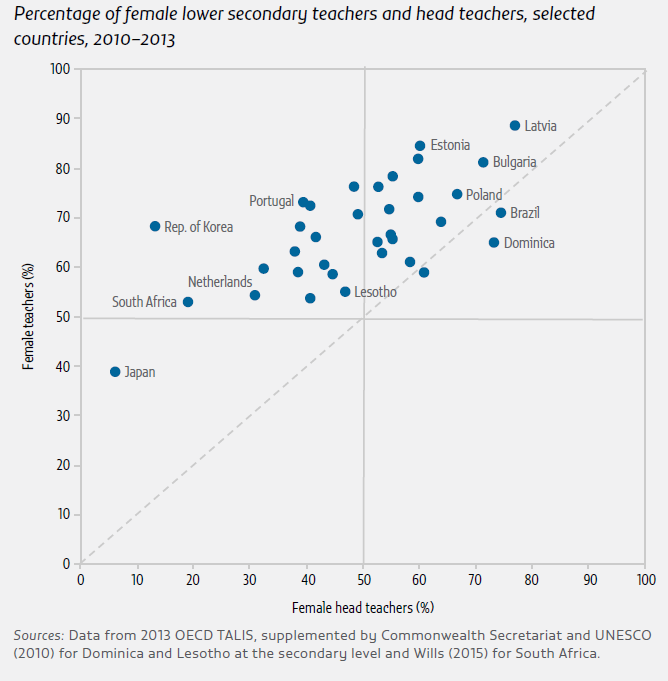 The data show that gender inequality in school leadership also persists in OECD countries. In most countries, the share of males among head teachers is higher than among teachers. On average across OECD countries, 68% of lower secondary teachers are women, but women account for only 45% of principals (Van Damme, 2017). Women are especially under-represented in some countries: 39% of lower secondary teachers in Japan were female, but only 6% of head teachers were. In the Republic of Korea, the respective shares were 68% and 13% (Figure 9). Where data are available for different levels, the share of women in leadership positions decreases at higher levels. For example, in Austria, 79% of primary school heads were female, compared with only 32% of lower secondary school heads.  In Sweden, the shares were 73% in primary and 45% in upper secondary (European Commission/EACEA/Eurydice, 2013). In Rwanda, 30% of primary and 19% of secondary principals were women (USAID, 2014). Nevertheless, the proportion of female school leaders is increasing. For example, in the United States, the percentage of female principals in public schools rose from 35% in 1993/94 to 52% in 2011/12 (United States NCES, 2016). Because principals are usually recruited from teaching staff and experience increases the likelihood of being recruited, the overall share of women in school leadership is likely to continue to grow. Even fewer women occupy leadership positions in higher education. As of 2009, only 13% of higher education institutions in 27 EU countries were headed by women (Morley, 2014). A survey ofCommonwealth countries showed that, in 2006, women were the executive heads of 9% of 107 higher education institutions in India and just 1% of 81 higher education institutions in anglophone sub-Saharan African countries. The shares increased for lower-level positions: in India, 20% of deans and 23% of department heads or directors were women, and in anglophone sub-Saharan African countries, women held 13% of dean and 18% of department head or director roles (Singh, 2008). In Europe, 18% of full university professors are women (Vernos, 2013), in India, 26% (Morely and Crossouard, 2014) and in Australia, 27% (Universities Australia, 2017). In the Netherlands, an additional €5 million was allocated in 2017 to reduce disparities by recruiting 100 additional female professors (OECD, 2017b). In Makerere University in Uganda, although the share of female assistant lecturers increased from 19% in 1996 to 33% in 2008, the percentage of professors or assistant professors increased from 4% to only 12% (Kagoda, 2011). A school management committee has multiple duties. In addition to monitoring teacher and student performance, it may be able to shape decisions on school personnel, curricula and other matters (Barrera-Osorio et al., 2009; Bruns et al., 2011; Demas and Arcia, 2015). Membership of school committees improves women’s access to information and empowers women (Masue and Askvik, 2017). In India, a larger share of women in leadership positions was linked to gains in girls’ assessment results (Beaman et al., 2012). Nevertheless, women are usually under-represented on management committees and, where they do hold positions, they tend to be assigned to roles in social affairs or welfare and not to roles involving executive or finance decisions. Moreover, even when they are committee members, women may still be reluctant or feel unable to participate fully in discussions. In Guatemala, women’s involvement is limited by a machismo culture, in which women’s main role is seen as taking care of children and the family. In one case study, covering four community schools, no females at all participated in the school management committee (Gershberg et al., 2009). A large-scale school improvement programme initiated in six Nigerian states in 2009 included interventions aimed at increasing community engagement in school management. Participation by women in committees improved but remained low. Only 30% of schools reached a benchmark of one woman attending at least two meetings, ranging from 11% in Jigawa State to 72% in Lagos State (Daga, 2016). Quotas have been used to stipulate proportional presence in school management. In India, half of school management committee members in government schools are supposed to be female, and in Bangladesh, the quota is three out of ten. Allocations are also mandated in the United Republic of Tanzania. However, men continue to dominate membership and decision-making (Masue, 2014).